I recently went through an interview for a digital leadership role and, of course, leadership was one of the focus areas of the conversation. A big part of digital leadership is about leading the disruption and transformation process. 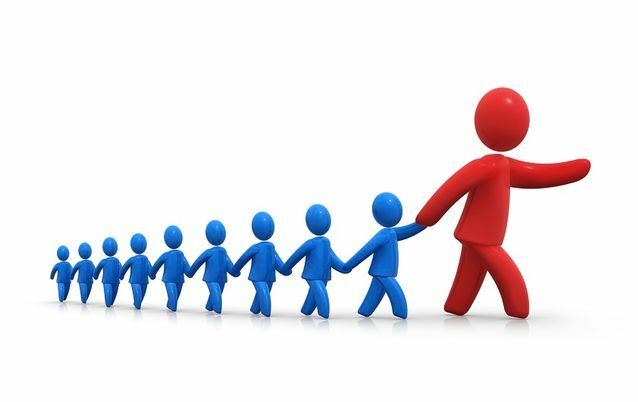 I wanted to share my response here and would love to hear your views on leadership in the digital disruption space. 1. Leadership is not a popularity contest. I don’t pretend to know everything about leadership but I do know what good leadership is not, especially in respect to driving transformation and leading disruption. Having led many successful digital transformation initiatives within FTSE 100 / Fortune 200 over the past decade, I can definitely attest that even a small change can in fact be disruptive. People will become uncomfortable and sometimes resistant to the proposed change. Leadership has to help people through that process, but if the leader tries to make everyone happy nothing will get done and the transformation will likely fail. To me, this is probably the main reason why digital transformation is hard and most transformations fail. 2. Leadership is about building other leaders. In driving digital transformation, we need to quickly identify and empower team members to become leaders who see the vision, share the aspiration of what’s possible and are able to lead in challenging status quo. These leaders need to be willing to do things differently while not being afraid of losing their job for creating change. As leaders, it is critical that we nurture these team members to grow in to leaders themselves while also providing them some level of protection as they are not easily replaceable. Only if people feel they have some sort of safety and approval to create and implement difficult changes will they be willing to move forward into that space of transformation and disruption. 3. Leadership is about knowing your people and placing them where they can be most effective. Within any organization there are people who are willing to be part of a change but do not have the knowledge or skill-set needed to be part of that transformation. As good leaders, we need to grow and develop our staff by providing them with the tools, education, and training they need to succeed in the post-transformation environment. We also need to be able to recognize however when we have staff who do not want to be part of the transformation. In these cases, we may need to help them find a different role within the organization or elsewhere. Sometimes, hard conversations are needed and a good leader knows when, and how, to have these. My opinions have been built on my personal experiences. Please share your perspective in the comment section below.